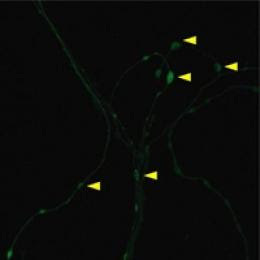 The increase in green fluorescence represents the imaging of local translation at synapses during long-term synaptic plasticity. The ability to learn and to establish new memories is essential to our daily existence and identity; enabling us to navigate through the world. A new study by researchers at the Montreal Neurological Institute and Hospital (The Neuro), McGill University and University of California, Los Angeles has captured an image for the first time of a mechanism, specifically protein translation, which underlies long-term memory formation.